Sorry to burst anyone's bubble here, but there really isn't a need for a SatNav anymore. With our smartphones becoming increasingly clever and able to do more things and run more apps, navigating the world while in your car can now by handled by that slab of plastic and glass in your pocket. But how do you keep your phone safe and secure while bumping over yet another pothole? Easy, with the Montar Universal Car Mount. The Montar, made by WinnerGear, is a trimmed down, neat and compact solution to keeping your phone safe and at a good viewing angle while on a car journey. The mount itself is slick and black and feels very sturdy in the hand. It attaches to the dashboard (or windscreen) by way of a large suction cup on the base which is operated by a push-down lever on the front. 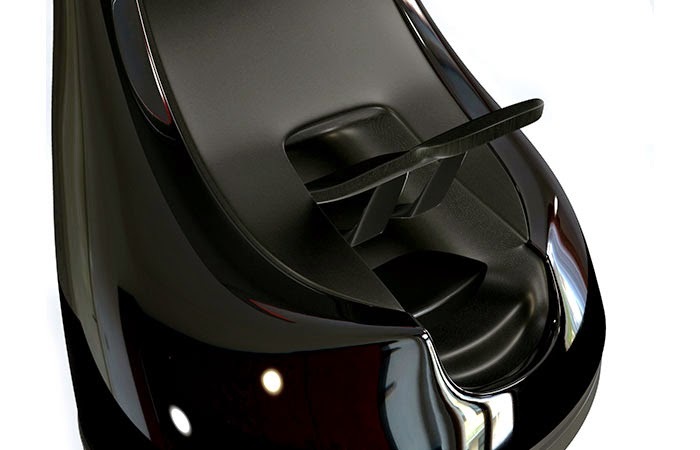 The suction cup (and the fact that it is immensely strong) reminded us of the iFlypad. Once affixed to the surface of your choice (we preferred the windscreen for ease of use) all you have to do is 'clamp' your phone with the adjustable gripping hand. The two sides of the grip separate to accommodate phones with screens of up 5.3 inches, with the inside face of the grip being coated in soft rubber to prevent scratches. The grip can then be tightened at the back with a twist of the screw head, resulting in a very solid hold on your precious talky-box. Once secure the range of movement of the Montar Car Mount is pretty impressive, and of course you can flip it easily and quickly from portrait to landscape positions. Also, as the grip can be shifted to anywhere along the edges of your phone, all ports can still be accessible, unlike other car mounts that might encapsulate your entire mobile. 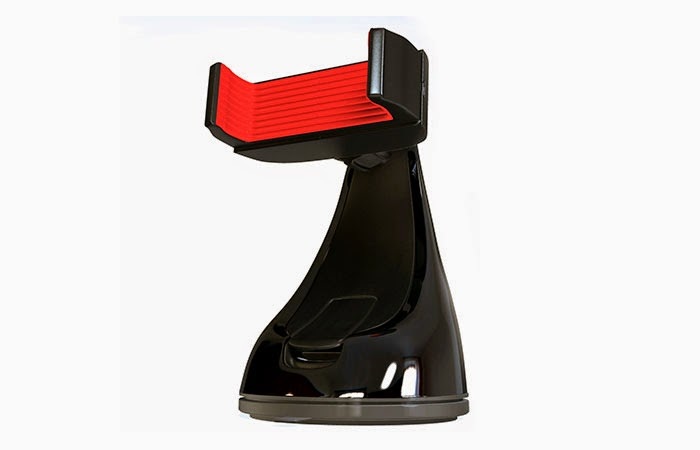 Removing the Montar Car Mount from your car is pretty simple as well. Just disengage the suction cup lock, yank on the rubber tab on the front, and the whole thing lifts off; no mess, no fuss. 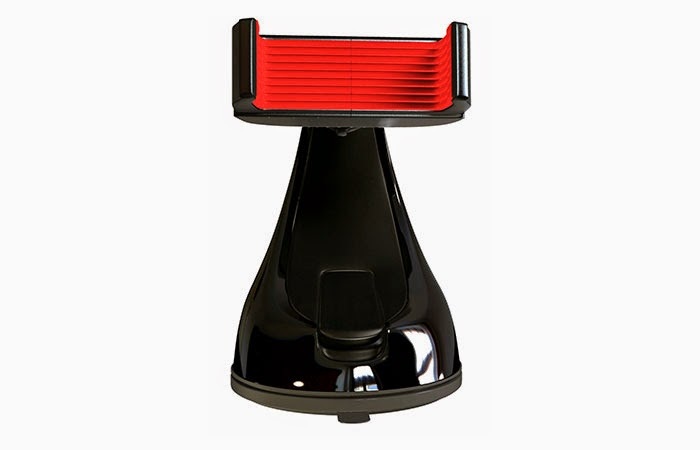 We especially loved the fact that, because both the suction cup and the grip mount can be firmly adjusted, you have great peace of mind that your expensive smartphone won't fall and smash to bits by your feet. So a quality build, good looks, and a firm grip. 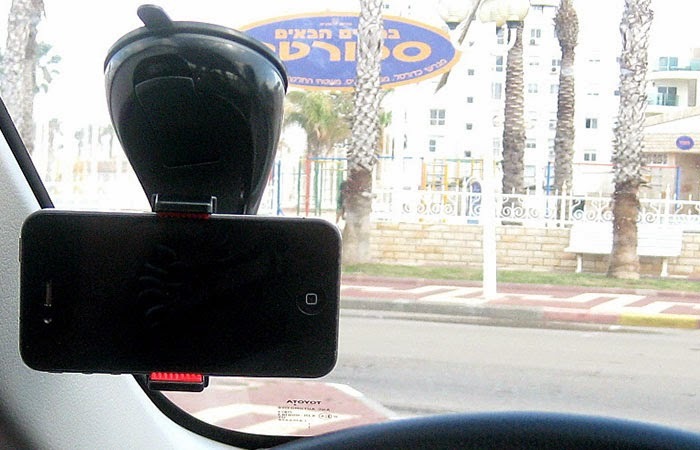 What more could you ask for in a car phone mount?